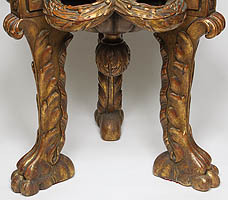 A French 19th-20th Century Baroque Revival Style Gilt Wood Carved Three-Legged Pedestal Stand with Marble Top. 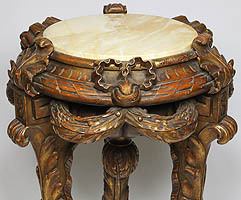 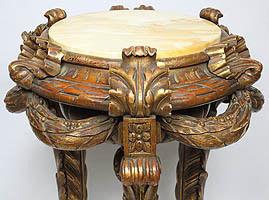 The circular gilt wood carved top with ribbons and wreaths with a circular veined yellow marble top, all raised on three acanthus cabriolet legs on paw-feet. 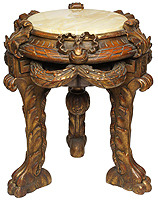 Circa: 1890-1900.